A Blue Badge Guide AND Private Black Taxi – Your London Touring Dream Team! A fabulous way to tour one of the most vital, historic and ever changing cities in the world. Not only will you have a Blue Badge guide to bring London to life, but you will have exclusive use of one of London’s most iconic symbols to explore the city in. Black Taxi tours are a great option not only because you won’t miss a thing, seeing London at street level as you travel between sites, but you will enjoy the space and comforts of an air conditioned Mercedes Black Taxi driven by a highly trained expert – a proper London Cabbie – who knows London’s every nook and cranny, every sneaky alleyway and cut-through, and best of all, unlike a regular chauffeur driven car or UBER – Black Taxis can use the bus lanes to bypass London traffic! Getting around like this also means that as well as the big sights of Central London, you’ll be able explore further afield. Why not take a drive through some of London’s most fascinating neighbourhoods, like Notting Hill or Kensington. Discover hidden gems such as London’s beautiful garden squares or mews, see local markets, lovely backstreets and street art in trendy, up-and-coming areas. If you are a Harry Potter fan, there is no better way to see the Harry Potter London Locations, including Platform 9 3/4. Just Contact Us now for a quotation. 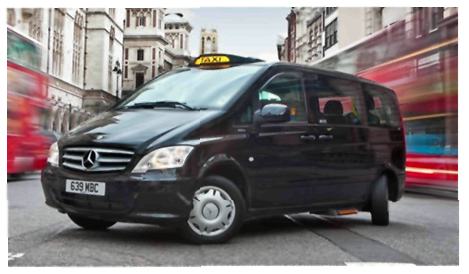 Your Black Taxi can accommodate up to five travellers, plus your Blue Badge Guide and make no mistake, your Cabbie is very much a part of your experience. London’s black cab drivers have undergone a hugely rigorous two year training known as ‘The Knowledge’ to qualify, so along with your highly qualified Blue Badge Guide, you’ll be in excellent hands. Whether this is your first trip to London, or you are a return guest wanting a deeper view into the city’s history, We promise the day will be full of fascinating stories that will help you connect the dots of how London and present day England came to be. Your guide and driver will meet you at your hotel and from there the city is yours to discover. Your taxi will be able to drop you off at the various sites and collect you when you’re ready to move on to the next. If you have mobility issues do let us know when booking so we can tailor things for your comfort. *Please note that Black Taxi tour prices include guiding services, preplanning, transport, fuel and parking, but does not include entry fees to the various attractions or your refreshments. Do you have a special passion or interest? 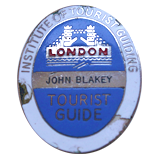 As well as a Classic Tour of London, why not go a little ‘off piste’ and explore a little further with your Blue Badge Guide AND Black Taxi?